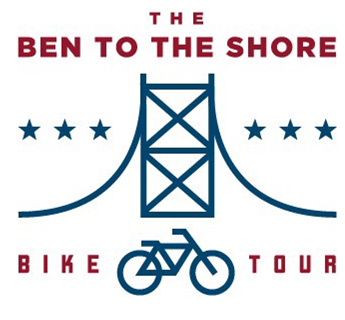 The Ben to The Shore Bike Tour is a 65 mile charity bike ride from Philadelphia, PA to Atlantic City, NJ. For the second year in a row we will offer The Ben to The Shore Bike Tour Lite which is a 50 mile route from Berlin, NJ to Atlantic City. Upon arrival at the finish line in Atlantic City, riders will be greeted by friends and family, volunteers and supporters where we will celebrate their amazing physical accomplishment and raise additional funds at our legendary after party. All proceeds from The Ben to The Shore Bike Tour go to the Families Behind the Badge Children's Foundation which supports the families of fallen first responders and children's charities in the Philadelphia and South Jersey area. Click the pages on the left for additional details. Follow us on Facebook and Twitter to receive the latest updates!